Delivering the treasure of home ownership ethically and honorably. 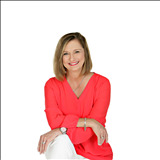 Welcome to My Website, your premiere resource for all real estate information and services in the Milton, Pace, Pensacola, Whiting Field and NAS Pensacola Base areas. I hope you enjoy your visit and explore everything this content-rich website has to offer, including Pensacola area real estate listings, information for homebuyers and sellers, and more about us, your professional Pensacola, Florida Realtor. I have been a top producer in selling homes and land since 1999. I am a full-time, full service, dedicated professional who is passionate about providing the best in buyer services and seller services. Anita Allen has assisted many families in achieving their real estate goals over the past 16 years, and I welcome the opportunity to serve you! BUYERS: Looking for a new home? View Milton, Pace and Pensacola Listings by using a simple MLS Quick Search or Map Search to browse an up-to-date database list of all available properties in the area. You can message me with your home search criteria and I will conduct a personalized search for you. You can even Save Your Searches for future visits to my website, or have listing information AUTOMATICALLY emailed to you when your requested listings come on the market! SELLERS: If you're planning to sell your home in the next few months, nothing is more important than knowing a fair asking price. I would love to help you with a FREE Market Analysis. I will use comparable sold listings to help you determine the accurate market value of your home, and with no obligation to you.